Activists and community members who campaigned to have the North Kelvin Meadow officially recognized as a community greenspace were disappointed to learn last week that Glasgow’s new city plan still designates it a building site, with plans for 100 owner-occupied units (i.e., condos) apparently going forward, to be completed in 2019. Comment (by anyone!) is invited through the city council’s specially designated channels up until 4 pm on June 27, 2014. I will undoubtedly have more to say about this before then, because I intend to be actively involved in resisting these developments, but for now want to record some thoughts about landscape aesthetics, and the kinds of value we invest in different landscape forms. 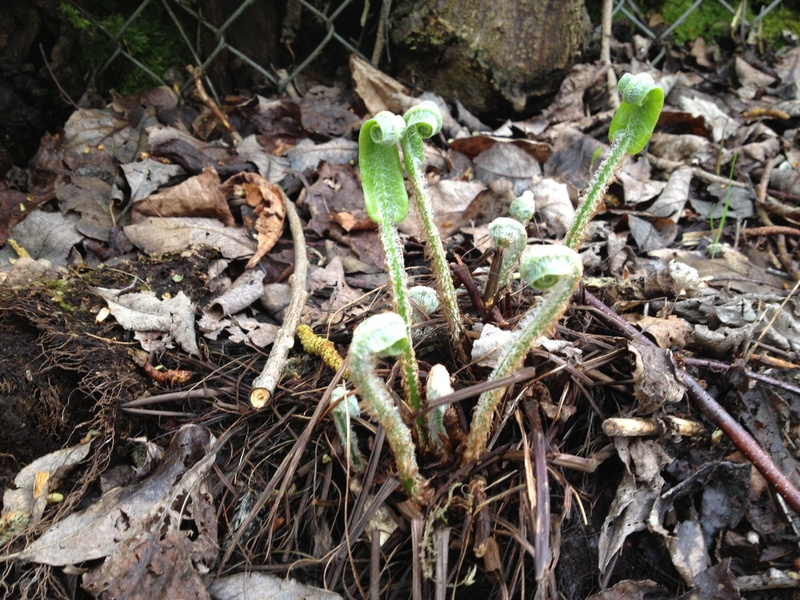 One of the transplanted Hart’s Tongue ferns, which seems to have survived the winter (despite being temporarily relocated by some local kids). A lot of efforts to save sites such as the meadow from development tie the value of the land to other areas of social and cultural value – most commonly environmental and health benefits. I think this is in every way a valid – and sometimes very effective! – strategy. 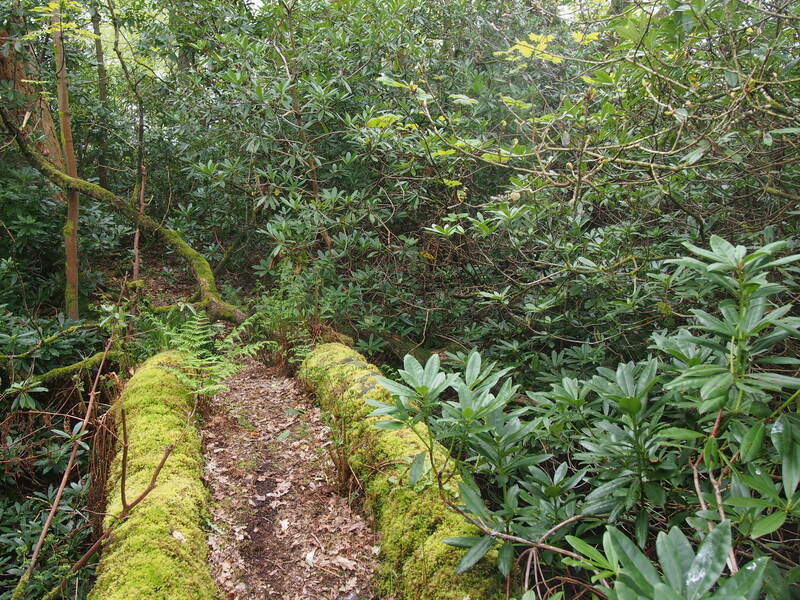 But I also wonder about a more culturally far-reaching approach; that is, to find ways of creating or nurturing values and sensibilities that are specific to the landscape forms we wish to protect, and that might in the long run, provide a more sustainable avenue for protection. How can we communicate or encourage the perception of beauty or other values in neglected or undesigned and community-tended landscapes? 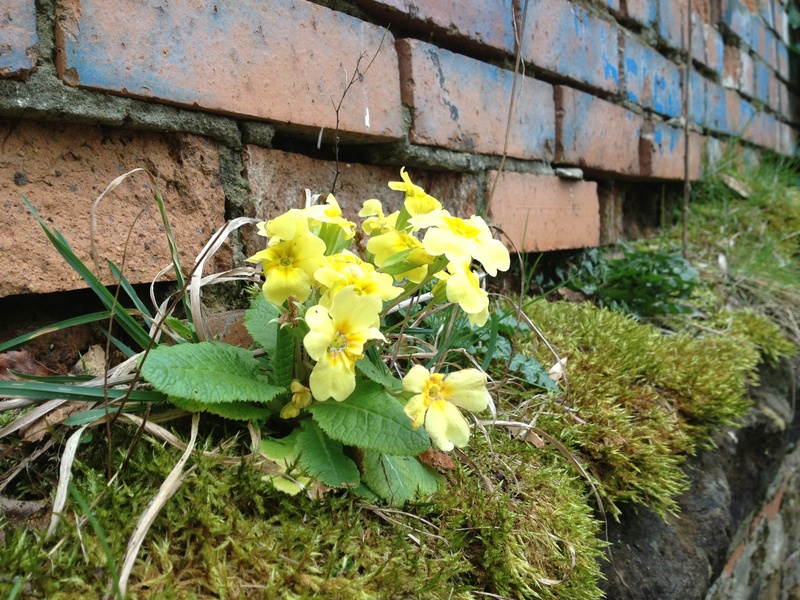 The only primrose I have found so far growing in the meadow. To say this is a big question is something of an understatement. Nonetheless, I have been thinking about it in relation to two of the sites I have written about here – not only the meadow but also Kilmahew-St. Peters. I have been thinking of ways to articulate what it is exactly about these sites that makes them so visually interesting, and so seemingly rich in social and cultural possibility. There are least two characteristics I have identified so far, and which I will write about separately. For now, I want to try and describe something much more global and ephemeral–something which is not really at all visual. Or rather, is extra-visual. Kilmahew is an abandoned country estate at Cardross containing ruins from the 18th, 19th and 20th centuries, but which has been largely left to its own devices since the early 1980s. This is when the St. Peters seminary–a rather spectacular incongruity within the landscape–was closed. There are lots of interesting things going on, or about to be going on here, but more important to me right now, it is a good example of a certain kind of landscape–one that has something in common with the meadow, even though it is in many ways quite different (i.e., rural, ruinous and relatively unused). I want to spend the next few posts working through what exactly that something might be, and why it is important. I have never been to Kilmahew alone, but somehow, that is what it reminds me of: it looks like I feel when I go on a walk or a long run in the woods on my own. The beauty you find there seems to me an offspring of the same basic but very rare freedom. While I am gone, nobody can make plans for me, or object to the route I take or whether I want to stop for a rest; it is ok if I get lost. A bit threatening and lonely at the same time that it is beautiful, this is a landscape that doesn’t have to answer to people’s expectations, that is allowed to fail. A place where everyone, therefore, can be forgiven, or accepted. 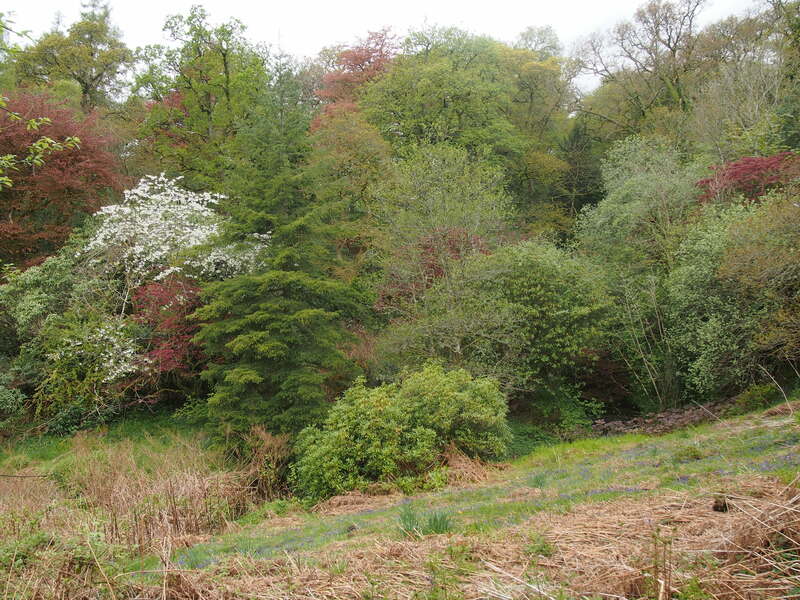 Though the meadow in contrast to Kilmahew, is a very socially active space, it also has a kind of openness or looseness that implies acceptance. Are there specific characteristics or processes that enable and sustain this quality? If so, we need a new vocabulary for describing and valuing them – a psychosomatics or ecosophy (in Guattari, not Naess’ sense) of landscape that acknowledges the bodily and political dimensions of landscape aesthetics. I don’t think we have always needed this; these are not universal human needs to which I refer, but historically specific ones. In a world where, even in rich, so-called developed countries, there seems to be less and less (time, space, love) to go around, and more and more regulations to follow, standards to be met, etc., we need landscapes that show us beauty in failure and imperfection. We need values that pertain to a quality of process and experience, as well as of outcomes and appearances. How can we identify the aesthetics that go along with and help to nurture such values? This is what I will attempt to work through in my next two posts. This entry was posted in Uncategorized on May 7, 2014 by Erin Despard.